That was the most unexpected trip of year 2016. I was not required to be a part of the trip. But sheer need of a change and a vacant weekend pulled me in. So I set forth to travel 200 plus kms to experience the unseen forests of Bharuch, a district in Gujarat that is known for its industrial presence and Gulf of Khambat. I was not alone in the trip, Hardik and Akash my colleagues and friends were part of this adventure. Since it was an official visit, there was a vintage looking Bolero for company as well along with a very entertaining Chandanbhai at the steering. As it was the month of July, there were only different hues of green around us. Before we get into forest, the objective behind the trip was to photo document the plantation efforts done by Forest Department in and around Bharuch to combat loss of biodiversity and to bring back lost species of trees and plants. I being a non-botany person, was about to be awed by what is in store. As you may know forests are divided in clusters for it’s better and management. So we visited Netrang and Jhagadiya divisions of Bharuch. The visit was more than enriching. Firstly I could see the green side of a district that is more known for presence of industries. The two day trip took me to deep forest areas reserved for plantation and water conservation activities. The terrain was undulating, wet and full of thick foliage. My camera never rested. It captured the forests and its life, with all its glory. Certainly a trip to forest will definitely not be uneventful. I had a fall, rather slipped and skied only to land on my bum. And all throughout this fall I was only concerned about the safety of the camera. The second adventure was to ‘get lost in the woods’ with zero mobile connectivity. I must tell you, here I realized the utmost importance of being physically fit to walk and run without losing breath. When rest of the team trekked to the top of hillock, I was catching breath and was thinking ‘would I become the lunch of that leopard that must be watching me from over the tree and salivating’. Thanks to the foresters, who by then had filled my imagination with stories of frequent leopard sightings in and around the area where I got lost. But the fact is I was only worried for a while, because if at all a leopard finds me interesting, there was not much I could do, than surrendering myself. Once the worry faded away, I looked around and was astonished to see trees and variety of trees. Small and big ones, stood strong holding on to the ground, like a mother taking care of the newborn. These were the trees which for centuries are holding on to the earth and stop erosion of land only to provide a secured life to its dwellers, the living beings. Bamboo forests, natural and man-made are abound in Bharuch. The smell of wet earth and dripping water from the long leaves painted a picture of a joyful monsoon. Rain drenched grasses never made by heavy feet feel the need of rest and for two days we wandered throughout the bamboo plantation and got introduced to many offshoots of older bamboo trees, as old as 30 years. Undoubtedly the most astonishing part of the trip was the magnificent hilly range with a natural formation like that of the Mount Rushmore (to my bewildered eyes) known as Vadadhiya Dungar. Any lover of hills would be amazed to see the formation. Bharuch has many historical hot spots, like the Kadia Dungar Caves, which has seven caves carved from the mountain during the 1st and 2nd century AD. It is believed that the Pandavas stayed over here during exile. So what is stopping you, when it is monsoon make a plan to visit Bharuch. While travelling through the hillside villages of Bharuch on a warm July afternoon, I met this group of enthusiastic boys on cycle. 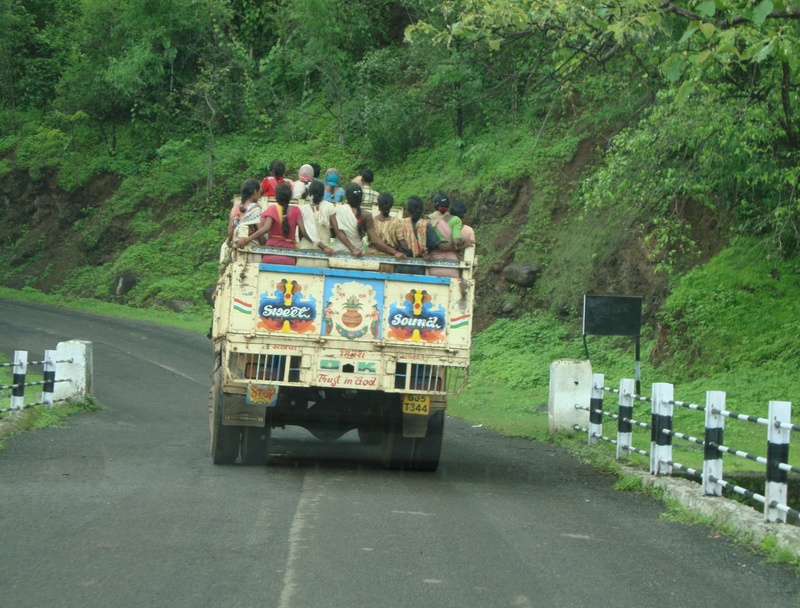 While I was languishing in a rickety Bolero with a tele-lens mounted camera, they were having the time of their life on the unpredictable yet familiar roads. Many of you would surely relate with such escapades on cycle. It was a holiday for them. More than the children, I was happy to find them. For those who travel, children following you in villages are a common sight, especially if you smile and be warm to them. Believe me, these are the true joy of travelling. No big take aways, no resort hoping, but some unconditional memories and of course little tiredness too. For me, she is Ammichi and for many she is Agnes thathi. At 86, she is an inspiration for me, to keep aside troubles and move ahead in life. While I was growing up in the beautiful coastal village of Pallipuram in Vypin Island; I only wished to get a job and erase all her woes. For those who have heard of this for the first time, Vypin is one of the highly inhabited Islands in Kerala, the picturesque state of India. Little did I know then, that it would be Ammichi who would inspire me to move on and achieve greater heights, especially in terms of education, financial stability and above all a happy family life. Not just for her family, but she has stood beside many to give that timely advice to ward off domestic and financial troubles. Ammichi was born into a very humble family of four daughters and a relentlessly hardworking mother – father. She couldn’t complete her education as desired by her. She dreamt of becoming a teacher, once she told me. Though, in life she was no less than a teacher, all those who are acquainted with her, would certainly vouch for this. Soon Ammichi became a wife and mother to four daughters and three sons. And her life changed completely. Having a husband who was posted with the Indian Army, Ammichi took the reins of bringing up the family into her hands. Ammichi for the past 40 plus years has rarely missed opening her small wooden toffee shop near St. Mary’s High School at Pallipuram. More or less, she has continuously witnessed over three generations of students, who still remember the ammayi muttai and kumbloose naaranga they ate from her pettikada (small shop in Malayalam). And the pettikada has played an important role in supporting her financial needs. And what a beautiful family she has raised. In spite of not being a biological part of her family, she brought me up just the way she would have done with her own offspring. Indeed, she lived the role of my Ammichi (mother in Malayalam). As per the relation, I should have called her Ammama (grandma), but I never realized the difference, as she raised me with equal portions of love, patience and punishments. Today, when she is celebrating her birthday, I stand here, educated, settled and with a loving family. This is when I realize the value of those moments of love and punishments. And how it has helped me to value life and count blessings, above all. 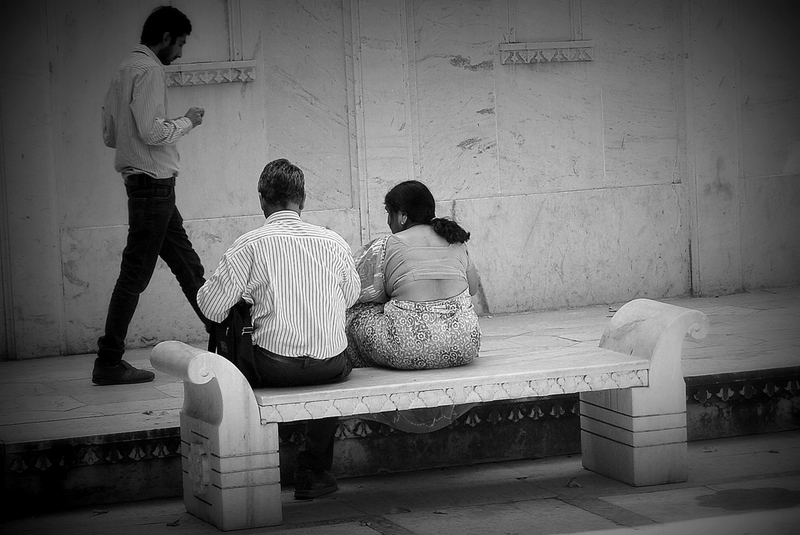 The ethos of India is beautifully etched on the many architectural marvels all around us. My early memories of visiting a heritage site dates back to 1993, when I was taken to Lal Darwaja one of the busiest market places of Ahmedabad. Thanks to my mother for holding on to her amused daughter of 13 years of age and showing around the city that was built more than 600 years ago. Here in Ahmedabad, my journey started. Work, yearly trips and an adventurous husband has taken me to few parts of the country. This collage is made from the trips made in Gujarat, Rajasthan, Goa and Kerala. These places have the signature architectural styles and patterns of the Mughal, Portuguese, Mewar, Maurya, Rajput, Indo-Saracenic and the Muzzaffarid as well as Solanki dynasty. This is a small tribute to the spectacular heritage of India. Kachchh is a traveler’s paradise. Who doesn’t know that? Every nook and corner of this mysterious and beautiful place is an artist’s impression on canvas. The expanse of Kachchh is so large that it is not difficult to find a place that is devoid of population. One such part of Kachchh is Lakhpat, which was once a thriving port and a hub for maritime trade. However, the glorious past has become fables now. The arid topography of Lakhpat still has many beautiful places, which are often found and cherished by travelers. I would certainly be doing a series on ‘Lakhpat and around’, so that more and more people get motivated to visit this nondescript corner of Kachchh. This is such a place, which wouldn’t have caught anyone’s attention. The floating crematorium. Literally it doesn’t float. But in my imagination it certainly does. 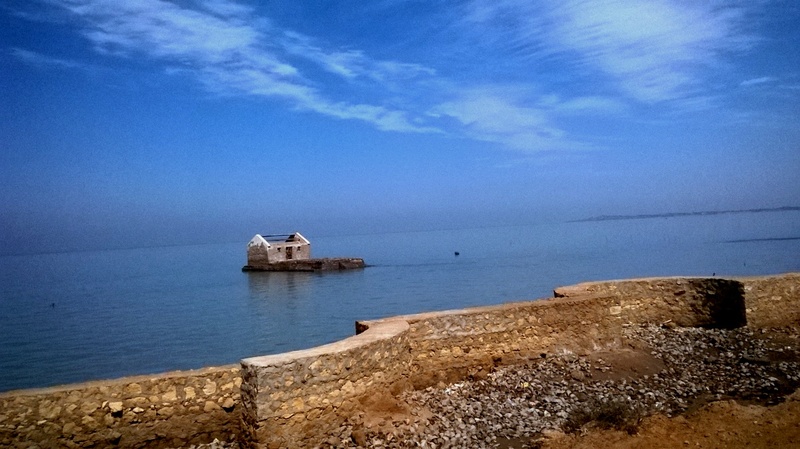 Just as when I was rushing out of Koteshwar Mahadev temple (very popular place among visitors), my eyes fell on this small structure with no roof, right in the middle of sea. It formed a perfect painting in indigo with the blue sky merging with the Arabian Sea. Later on, I could know that the building is nothing but a crematorium. People in and around this western tip of Kachchh district still use this crematorium. Unfortunately I couldn’t know much about how people would access the crematorium during high tide. However, it seems the pyre will be set on fire, when the tide is low. For me, the mystery continues. it is the latest rage to travel alone; they say ‘it leads you to self exploration’. Since I am yet to experience it, cannot vouch for that. So as of now, I believe in travelling together, with friends, family or colleagues. Travelling in company has its own benefits. When I say company, I don’t mean that I only prefer 10 people. Not at all. One can enjoy the pleasures of travelling and the place more when travelling with the person you love the most. Like a close mate or your companion. It helps you be calm and sure about the surrounding. Moreover, you can be relaxed about the ever inquisitive strangers. I agree that not every stranger is a monster. The quiet conversations, those little arguments over luggage and fretting about last minute shopping; the travelling couple would have hundreds of such stories. It certainly gives an opportunity to plan and dream about a trip. Especially as you age, travelling together will make you fall in love again and again. living in Gujarat for the past 21 years, has exposed me to many opportunities to travel across the breadth and length of the state. Of all the districts I have visited, certainly I am partial in my love for few. One among it is Dangs or The Dangs. After a long wait, I could finally visit Dangs in year 2010. It was in the sweltering summer of April. And while going up the mountains, I only saw a large stretch of yellow jungle through my taxi window, wondering and hoping to behold the green avatar of this beautiful district of Gujarat. I didn’t have to wait too long. In the same year again, I had a chance to visit Dangs, but this time in the month of July. The yellow jungle had by now attained a thick, dense and deep colour of green. Dense foliage displayed every possible hues of the colour green. Monsoons had clearly left its mark. Elated and surprised by the sporadic springs and falls, I continued the journey to the one and only place that could match with the definition of a hill station in my state; Saputara. Certainly you don’t have to go far to see the majesty and beauty of the Western Ghats. It’s just here. Soon it would be the months of rains. This time make a plan to visit Dangs and sip the lili cha (tea made with lemon grass) and experience the forest. You would realize that forests surely has a life of its own. i am 35, still feel like a hot headed young girl of 17 and love to irk my cousin of the same age of course with utmost innocence. May be age is just a number and it doesn’t have anything to do with what we feel and do. From birth, till the end of journey, when do we lose the hold on being happy? When we grow up, that’s my experience of three long decades. Changes which happen to us in a life time are of course results of our own choices and some mishaps. 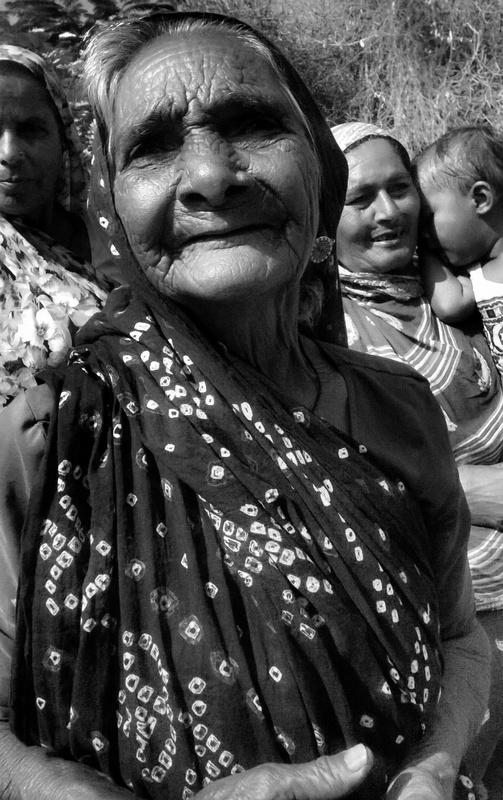 Met this beautiful octogenarian in a least developed coastal village, who had nothing to say to me but just smile and love me with her concern and warmth. I realized that day; indeed her smile holds the answer to being happy. I am sure you too can. 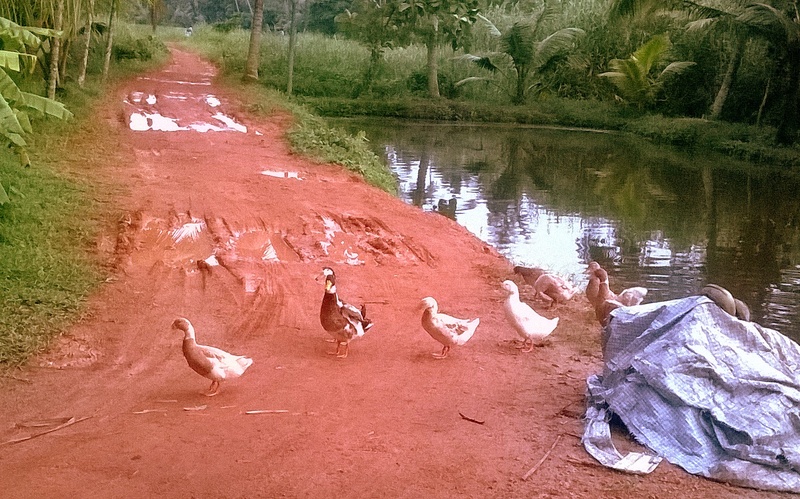 have your heard of the duck curry accompanied with succulent appams (a kind of pancake made with fermented rice paste /coconut and toddy, if you are lucky) Or the unending streams of picturesque backwaters. The older generation would also associate the place with many a freedom struggles, political uproar and the once famous coir industry. The place I am referring to is the rice bowl of Kerala and the Venice of the east; a district known as Alleppey and for many its Alappuzha (meaning ‘The land lies between sea and its rivers). I am one of the many daughter in-laws Alleppey would have. Like most of them, my visit is always shrouded with many plans to see that and eat this. However, each visit remains a surprise till the end. And of course more plans are made for the next visit. Luckily this time, I was more blessed to have got a guided tour to the backyard. No way, i am not complaining. 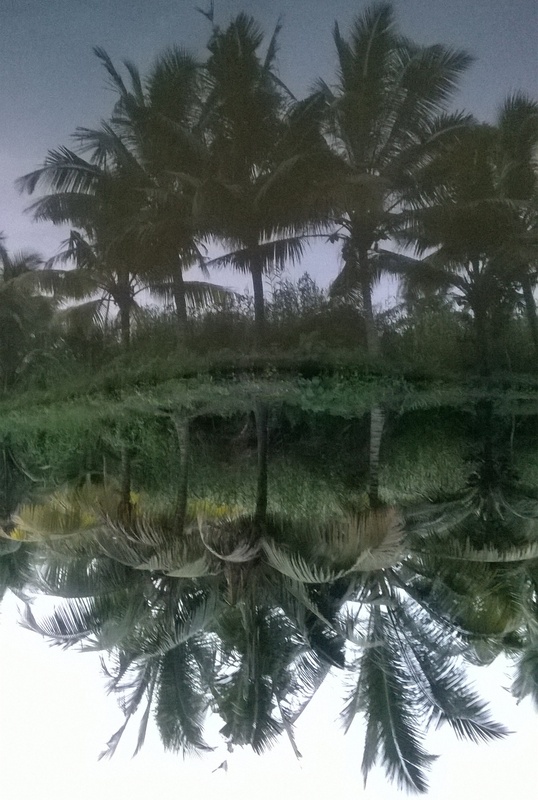 Even the backyard in Alleppey is worth taking a tour. And to add to the beauty, it rained the whole day. So I walked on the red coloured unpaved road to find this beautiful place. The water was dark but clear in the middle. Grass in varied nuances of green and different sizes covered the edges of the backwaters. Scores of ducks fluttered its wings to get closer to the land before the next big rain. 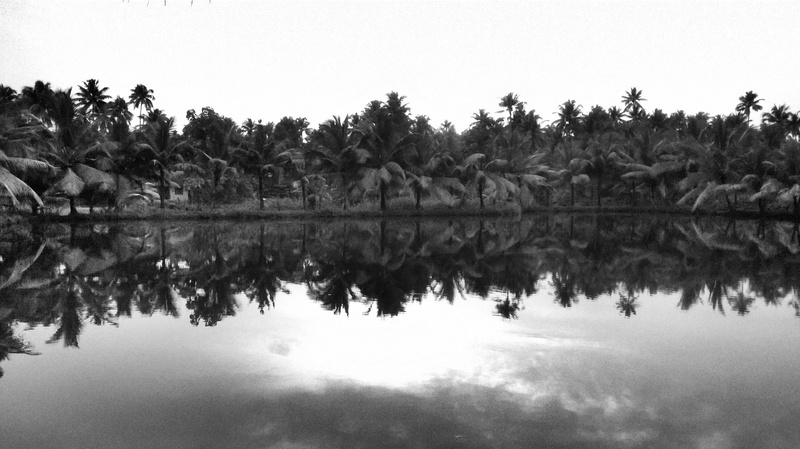 Indeed the backwaters of Alleppey beckon you to spend more time in the quaint atmosphere. You will not even mind the never ending rain. Life is a journey that must be travelled no matter how bad the roads and accommodations; says Oliver Goldsmith. With a similar emotion, that day in the month of April the journey began for me and friends. We boarded the Okha- Guwahati Express from Ahmedabad at around 9 pm only to find over 200 co-passengers in the second class bogie meant to accommodate 72 people. It took us a while to get accustomed with the surrounding and the hundreds of people heading for respective hometowns. That day the meaning of ‘shock’ and ‘disbelief’ was redefined. And we knew that our ‘reserved berth’ was just a mirage and that the exodus had begun. 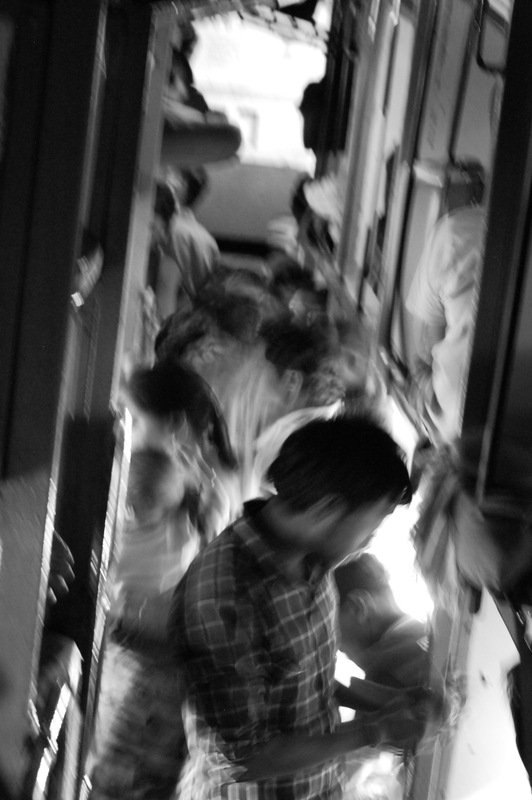 Generally all it takes is 60 minutes to adjust to the surrounding in a crowded train, at times even lesser. So in a while, we were busy probing and exploring with our co-passengers to find the reason for this rabble. And the answer was, “its Holi and we need to reach home”. Most of our co-passengers were natives from Uttar Pradesh, West Bengal, Bihar and Assam migrated to Gujarat in search of work. Having found a job in the vibrant state of Gujarat, they only visit their families once in a year. Hence, the rush was well justified. 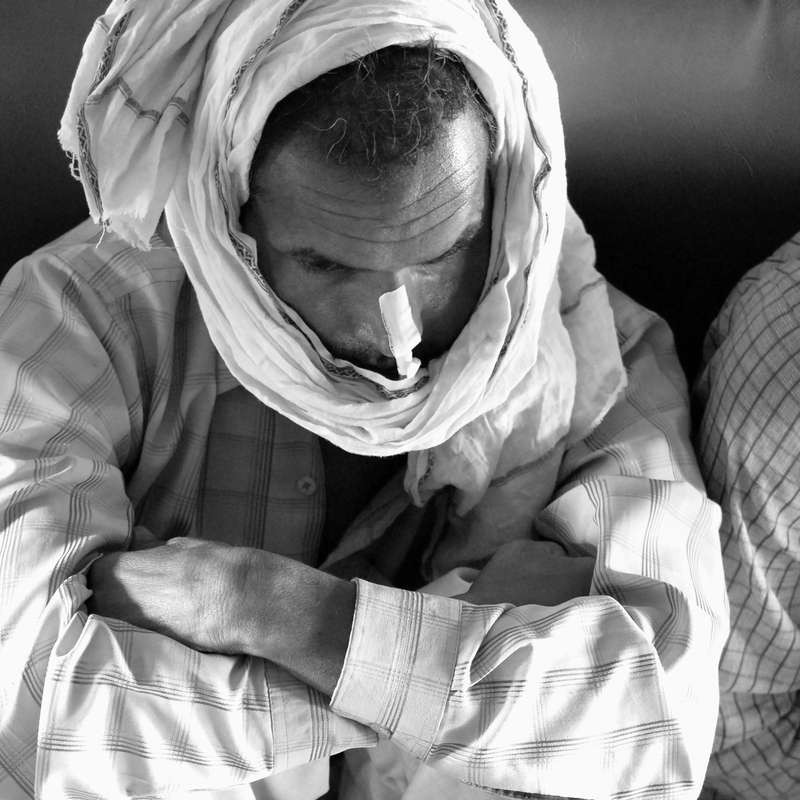 They were young, middle-aged, old and few who hopped in straight from the hospital, leaving the treatment half-way, keen to be home before the festivity begins in their respective villages. As they were taking turns to sleep and sit along the window seats, the scene illustrated a perfect travelling scene of giving each other a leg up to accommodate self as well as others. The bonhomie was contagious and soon we forgot our discomfort and joined the exodus. It’s recommended for photographers and story writers to board this train (before Holi, ofcourse) from Okha (Gujarat), if you want to hear amazing stories of finding employment, lack of jobs in one’s native and so on from the people of seven states of India all in one go . 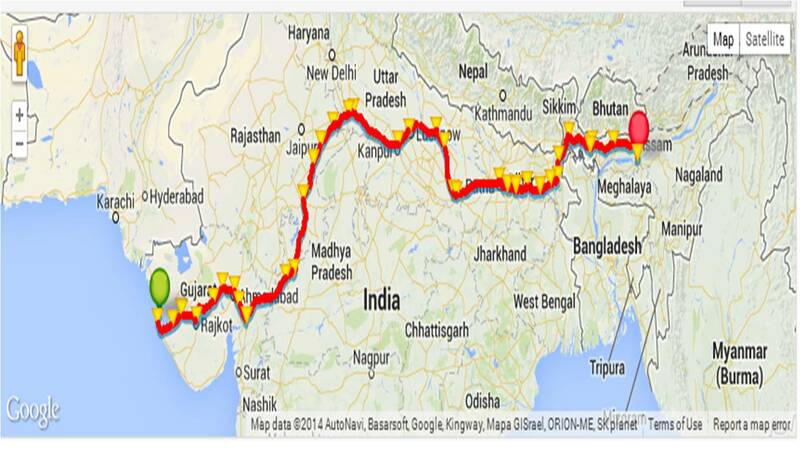 The Okha -Guwahati Express travels a long journey of more than 3200 km in a span of four days. Don’t miss my favourite, the second-class compartment in a summer night.